My good friend, Caren West, always has the skinny on the best events. This weekend, after gorging on chili Saturday at Chomp and Stomp, how about spending Sunday at D.B.A. Barbecue, while quaffing some brews to benefit Atlanta’s beloved Chattahoochee River? Pop on in for all the deets! When Caren West calls (or emails), I listen. As one of Atlanta’s premiere PR mavericks, her clients are all incredibly fab. Then she asked me to review The Real Chow Baby. What? Isn’t that like a fast food place? Really, Caren? Our good buddy, Caren West, just let me in on a super event for all you bacon lovers. Can you smell the excitement? So What’s New Around Town? Our fab friend Caren West sent me this info on the equally fab Cafe Circa, which is celebrating its 3rd Anniversary with some fun events. Take a look! 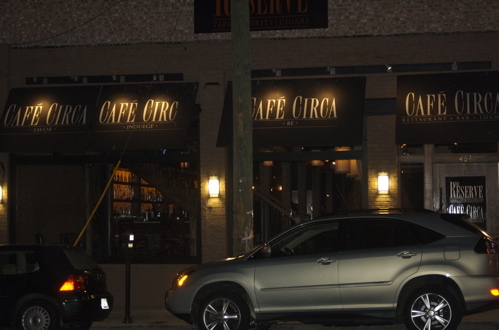 Atlanta, Georgia (January 18, 2011) – Café Circa, a distinctly local restaurant and social destination located in the Old Fourth Ward of Atlanta, is celebrating its three-year anniversary by hosting four days of special events and offerings Wednesday, January 19 through Saturday, January 22, 2011. Owned by Randy Hazelton and Kevin Holt, Café Circa offers a casually sophisticated atmosphere that merges classic style and modern elements with scrumptious signature menu items and a premium bar offering classic and innovative cocktails, select spirits, and a full wine list for every taste. The culinary team led by executive chef Hopeton Hibbert prepares fresh, deliciously seasoned food with a Caribbean Latin twist including creative small plates, inspired entreés, and tempting desserts. Café Circa is open Monday through Sunday beginning at 5 p.m. Call (404) 477-0008 or visit www.cafecircaatl.com. Since Thursday is the new Friday, Café Circa is hosting a special celebratory happy hour from 5 to 7 p.m. with sounds provided by DJ SugarCut and $5 Ciroc cocktails, $5 small plates and $10 entreés. Executive chef Hopeton Hibbert has created a three-course dinner that includes a glass of champagne for $25 in honor of Café Circa’s three-year anniversary. From Australia to Belize, Amsterdam to Istanbul, tasting new cultural delicacies has been his passion of Hopeton’s, which clearly influences his flavorful cuisine. With a degree in culinary arts from Johnson and Whales, Hopeton has mastered his skills working with The Buckhead Life Group, Eclipise di Sol and Atmosphere – one of Atlnata’s finest French restaurants. In 2010, Hopeton joined Café Circa where he executes Caribbean and Latin cuisine at its finest. Cuban spiced chicken and plantain spring roll with guava dipping sauce. Curried goat with peas and a rice cake and buttered baby cabbage. Jerked salmon fillet with tomato and spinach sauté. Coconut and rum cupcake w/plantain icing. For more information on Café Circa visit www.cafecircaatl.com or call (404) 477-0008. Fun Find Friday – Yacht Rock, Baby! Leave it to our girl-about-town, Caren West, to come up with something to warm you up and something to cool you down, at the same venue. Tonight. What? There’s an opening in your party going schedule? Let me help you pencil something in for tonight. Yacht Rock. That’s right. Yacht Rock. You know, cover bands that do all the fun music from the 1970s. Like Christopher Cross and Seals & Crofts and whatever else was popular back in the day. It’s fun! And…you can get all cooled off before the show by ice skating at Park Tavern. Honey, we’ve got you covered. Miss Caren, details please! Atlanta, Georgia (November 29, 2010) – The second annual Yacht Rock Holiday Special will be held at Park Tavern in Piedmont Park on Friday, December 10, 2010. Revelers are invited to attend an early show at 8 p.m. or late night bash at 10 p.m. The festive evening features three levels of live entertainment including the Yacht Rock Revue, fireside performances by the Yacht Rock Schooner, ice skating at The Rink with DJ MP3PO, and the PleaseRock Carolizers! Two cans of food for the Atlanta Community Food Bank will get guests a picture with Santa at the Mixtape Atlanta photo booth. Advance tickets are available for $20 for both the 8 p.m. and 10 p.m. shows at https://www.xorbia.com/rsvp/yachtrock/extravaganza/tickets.cfm. You know I just love our friend Caren West of Caren West PR. She is into everything! This weekend’s fun tip is actually something you can plan for Monday, Dec. 6th, with your sweetie or a group of your besties. Just to step back from all the holiday madness. With Atlanta’s own Francine Reed and the fabulous Cafe Circa. Lets get the scoop from Caren, shall we? Atlanta, Georgia (November 8, 2010) – Café Circa presents Dinner and the Blues, a series of unforgettable Monday evening performances in November and December featuring celebrated Atlanta vocalist Francine Reed. To make the experience even more delicious, Café Circa is offering a two-course dinner special – choice of an appetizer or a dessert and an entrée – on the nights Reed performs created by new executive chef Hopeton S. Hibbert for $20. Music lovers are also invited to relax at the bar and explore Café Circa’s innovative cocktail menu of seasonal signature offerings and timeless classics. Legendary blues singer Francine Reed is slated to perform on Monday evenings from 7 to 10 p.m. on November 8 and 22 and December 6, 20 and 27, 2010. 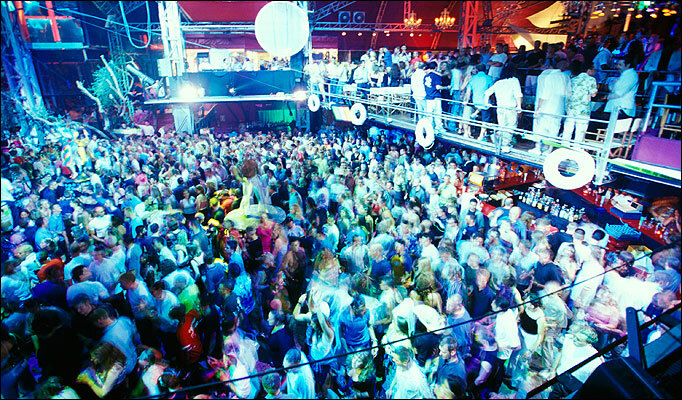 For more information or to make a reservation, please visit www.cafecircaatl.com or call 404.477.0008. CONTACT:	For more information or to make a reservation, please visit www.cafecircaatl.com or call 404.477.0008. Located in the Old Fourth Ward of Atlanta, Café Circa offers a casually sophisticated atmosphere that merges classic style and modern elements with scrumptious signature menu items and a premium bar offering classic and innovative cocktails, select spirits, and a full wine list for every taste. The culinary team led by executive chef Hopeton S. Hibbert prepares fresh, deliciously seasoned food with a Caribbean Latin twist including creative small plates, inspired entreés, and tempting desserts. Café Circa is open Monday through Sunday beginning at 5 p.m. Call (404) 477-0008 or visit www.cafecircaatl.com. Go, have some incredible food (try the salted cod – really! ), lovely libations and the sultry voice of Francine Reed. You can’t miss with this combination. 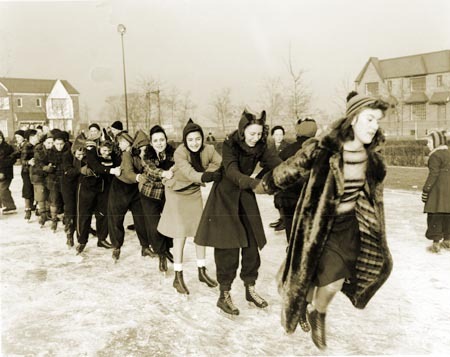 Our good friend Caren West sent me this marvy press release on the opening of an ice skating rink in Piedmont Park, our city’s best place to play. The Rink at Park Tavern, a new covered ice skating rink located in the heart of Midtown in Piedmont Park, will open to the public on Monday, November 22, 2010. To celebrate its arrival, Park Tavern is hosting a special Breakfast with Santa at The Rink from8 to 10:30 a.m. that morning. For $10 kids can enjoy sweets from Santa’s bakery, cereal and fruit juices. Parents can bring a camera, but there will also be a professional photographer available to snap pictures with Santa. Park Tavern’s new homemade hot chocolate and new frozen hot chocolate will be available for purchase. Parents will also be able to purchase bagels, coffee and gourmet Danishes. Breakfast with Santa does not include the cost of skating or skate rental. Tickets can be purchased online at http://www.xorbia.com/tickets/therink/. The Rink at Park Tavern will also host a second Breakfast with Santa for kids on Friday, November 26 from 8 to 10:30 a.m. Kids can also enjoy Frozen Hot Chocolate and Cookies with Santa on Tuesday, November 30 from 4 to 7:30 p.m. Located in the spacious Garden Tent in Park Tavern, The Rink will feature modern amenities for day and night skating including a brand new rink created with harvested rainwater that is 85 feet long and 40 feet wide. Skaters will stay warm under a beautiful heated tent with a state-of-the-art sound system; while observers can enjoy rink-side dining, homemade hot chocolate, specialty cocktails, house-brews, ½ price wine bottles every Wednesday, 1/2 off sushi nightly from 10 p.m. to midnight, holiday decorations, and much more. With original woodwork, Stone Mountain-granite walls, stack-stone fireplaces, granite bars, new leather furniture and a natural slate floor, Park Tavern’s lodge-like feel will only enhance the overall experience. Accommodating approximately 200 skaters, The Rink at Park Tavern will be open for evening skating experiences daily beginning at 5 p.m. on Monday November, 22, 2010 through Monday, February 14, 2011 and will offer four sessions on weekends and when kids are out of school on holiday breaks at 9 a.m., 1 p.m., 5 p.m. and 9 p.m. Each skating session is 3 ½ hours with ½ hour breaks to resurface the ice with harvested rainwater. At 9 p.m. each night, The Rink at Park Tavern will only be open to ages 21 and up. The Rink is also available for private skating lessons, parties and even marriage proposals. Park Tavern will also host number of specialty events throughout the season. For the most up to date event calendar, specialty packages, and venue rental information, please visit www.parktavern.com. My life has given me such amazing friendships and as you know, people come and go, but when one comes back, it is one of the greatest gifts. I received such a gift last week. Johnny P and I go way back. Way, way back. I won’t even tell you how far. But it’s far, I tell you. He and I have lived in Atlanta for many years and although we don’t live far apart, we never get together. Life gets in the way. But we changed all that last week. My swanky friend, Caren West, of Caren West PR arranged a very special tasting for the three of us at Cafe Circa, in the Old Fourth Ward neighborhood of Atlanta. How could this have been here for 3 years, without me noticing? So, how did the reunion go? Come on in and join us! I know you are always looking for fun things to do. Caren West just sent me this press release for a super fun foodie event to wrap up summer. Atlanta, Georgia (August 3, 2010) – The Atlanta Food Rave, an interactive night of food, fun, cocktails and live entertainment slated for Friday, August 27 from 7 to 11 p.m. at Mason Murer Fine Art Gallery has announced a variety of exciting new partnerships and experiences for attendees. A portion of the proceeds from this year’s event will benefit the Atlanta Community Food Bank. Tickets are $55 per person for ages 21 and up and are available for purchase online at www.atlantafoodrave.com. A percent of the proceeds from The 2010 Atlanta Food Rave will go to the Atlanta Community Food Bank, which currently distributes nearly two million pounds of food and other grocery items each month to more than 700 non-profit agencies and 38 counties in the Atlanta area. With a mission to fight hunger by educating, empowering, and engaging the communities of Metro Atlanta and North Georgia, The Atlanta Food Rave is proud to donate a portion of the proceeds from the event to this great charity. Visit www.acfb.org for more information. The Atlanta Food Rave will be held on Friday, August 27 from 7 to 11 p.m. at Mason Murer Fine Art Gallery at 199 Armour Drive, Atlanta, Georgia 30324. Tickets are $55 per person for ages 21 and up and are available for purchase online at www.atlantafoodrave.com. Complimentary valet parking will be available. For more information about the event or partnering with The Atlanta Food Rave, please visit the Web site or call 404-856-0157. Whoo Whee! Doesn’t that sound like a good time? Get on out there and enjoy one last hurrah before the weather turns cool.